MEP has produced a great number of magazines and other corporate material over more then 25 years. Here is a list of our current and recent titles, as well as a selection of past projects. 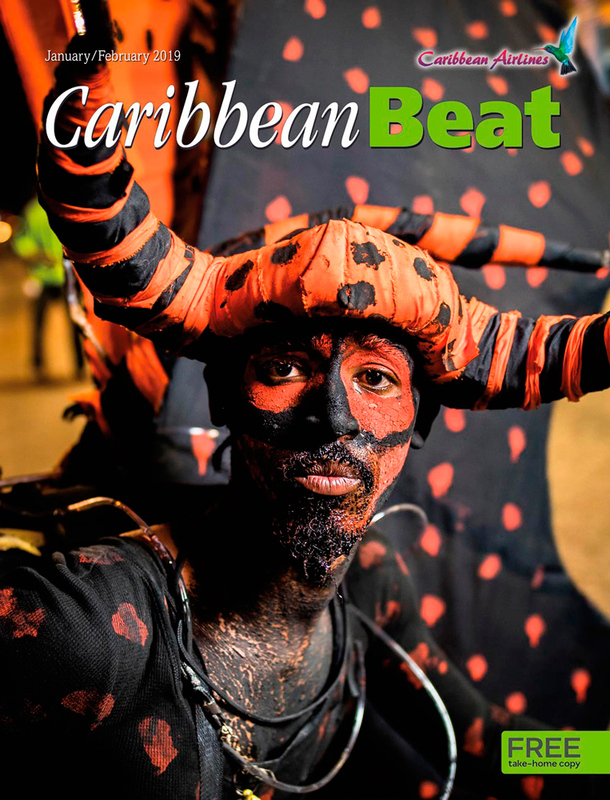 Published by MEP since 1992 as the in-flight magazine first for BWIA and then for Caribbean Airlines, Caribbean Beat is the Caribbean’s leading magazine on Caribbean arts, culture and society. We marked its 25th anniversary with the March/April 2017 issue (#144), and the 150th issue in March/April 2018. Caribbean Beat’s mandate from inception was to get behind the familiar stereotypes of the Caribbean to show how rich Caribbean life really is — music, art, dance, books, sport, fashion, design, festivals, history, environment, people, lifestyle. As its publisher, we’ve valued and honoured this mandate for over a quarter century, making Caribbean Beat the only magazine of its kind, and an ongoing resource for students, researchers, and lovers of all things Caribbean. 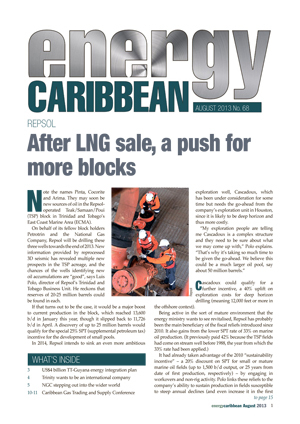 In addition to its distribution on Caribbean Airlines planes and via print subscriptions, the magazine is also reproduced in full on the caribbean-beat.com website (including a near-complete digital archive of the magazine), and on MEP’s Yumpu, Magzter, and Issuu accounts. 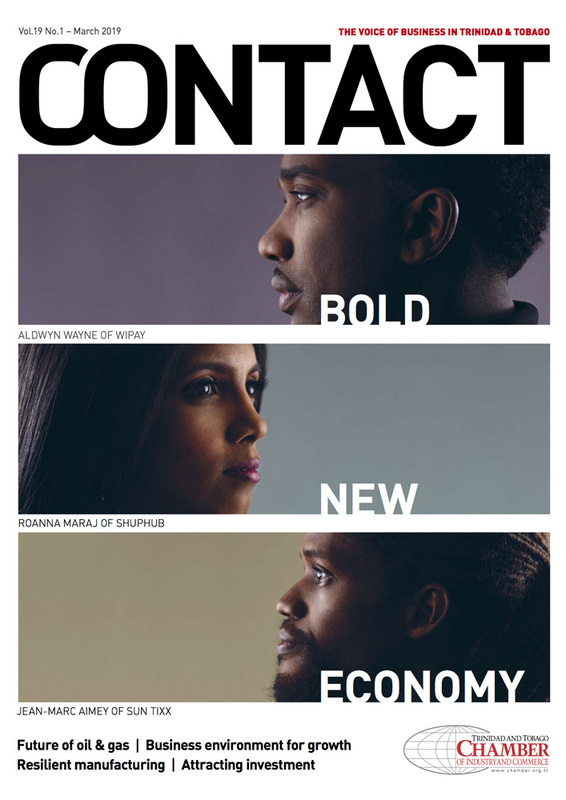 MEP embraces a new partnership with The Trinidad & Tobago Chamber of Industry and Commerce to produce their iconic CONTACT magazine, starting with the April 2018 issue, unveiled at the Chamber’s Annual General Meeting (AGM). Our MEP team has produced a new logo; a new layout and design; and a completely revamped and refreshed editorial approach for the Chamber’s flagship magazine. The feedback has been phenomenal, and we’re excited to continue developing and sharing the new CONTACT with you. The magazine will leverage the Chamber’s and MEP’s powerful, diverse network and broaden the magazine’s distribution base of 5,000+ key corporate decision-makers, strategically communicating with local and international markets through hard copy and digital distribution of the magazine. In publication since 2000, the magazine is a staple reading for the national business community as well as for overseas investors and other stakeholders beyond our shores. The magazine has a strong specialised thematic content, written and researched by respected business leaders and writers. Because of its focus, the publication has wide appeal, and is circulated to key executives and leaders in the business community, Government Ministries, diplomatic missions, tertiary educational institutions, libraries and business development institutions locally, regionally and internationally. Produced annually since 1991, Discover Trinidad and Tobago is the country’s major international promotional book, for both local and international visitors alike, and the island’s only truly cross-platform print and digital solution. Its light and portable format usually make it the only destination guide that local tourism authorities take overseas to major travel shows, fairs, and markets. Discover T&T’s 25th anniversary in 2016 with its 27th issue and the introduction of its new dual-cover design — flip it one way, you’re in Trinidad. Flip it another way, you’re in Tobago! The 2018 issue (issue 29) is the third straight dual-cover edition, where each island has its own distinct cover, and its own distinct content and design. 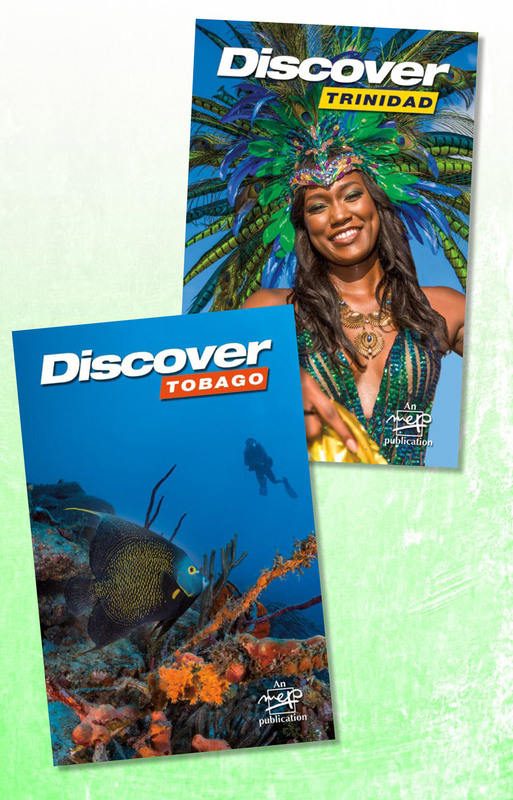 Discover is published each November, usually making its debut at the World Travel Market in London (UK) as part of the Trinidad & Tobago contingent. It is distributed free to local and international industry stakeholders; via a mobile app; and is also reproduced in full on the high-traffic discovertnt.com website, and on MEP’s Yumpu, Magzter, and Issuu accounts. In partnership with the Queen’s Park Cricket Club (QPCC), MEP will be relaunching their flagship magazine — Parkite Sports Magazine — in mid-2019, positioning it as the premier sports magazine for the Caribbean region and diaspora. Stay tuned! In the past, we have also published several magazines, brochures, company histories, annual reports, catalogues, directories, event programmes — both in house and for private clients, ranging from multi-national corporations and NGOs to local SMBs and individuals. Click here for more, and for a slideshow.